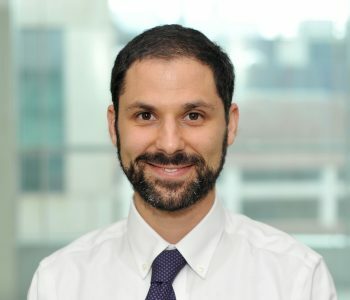 Jacob is a post-doctoral researcher in the Sabeti Lab, a resident in internal medicine at Massachusetts General Hospital, and an incoming infectious disease fellow at Massachusetts General Hospital and Brigham and Women’s Hospital. He holds a B.S. from Stanford University, a D.Phil. in molecular parasitology from Oxford University, where he was a Rhodes Scholar and member of the NIH-Oxford Graduate Partnership Program, and an M.D. from Harvard Medical School. He is interested in genetics and pathophysiology of malaria and babesiosis, particularly antigenic variation and mutually exclusive gene expression. A global map of genetic diversity in Babesia microti reveals strong population structure and identifies variants associated with clinical relapse. Lemieux JE, Tran AD, Freimark L, Schaffner SF, Goethert H, Andersen KG, Bazner S, Li A, McGrath G, Sloan L, Vannier E, Milner D, Pritt B, Rosenberg E, Telford S, Bailey JA, Sabeti PC. Lemieux JE, Kyes SA, Otto TD, Feller AI, Eastman RT, Pinches RA, Berriman M, Su XZ, Newbold CI. Statistical estimation of cell-cycle progression and lineage commitment in Plasmodium falciparum reveals a homogeneous pattern of transcription in ex vivo culture. Lemieux JE*, Gomez-Escobar Nm Feller A, Carret C, Amambua-Ngwa A, Pinches R, Day F, Kyes SA, Conway DJ, Holmes CC, Newbold CI.